Valentine’s Day can be just as fun for children as it is adults. They too love getting and giving small gifts and trinkets to celebrate the day and the season of love and friendship. 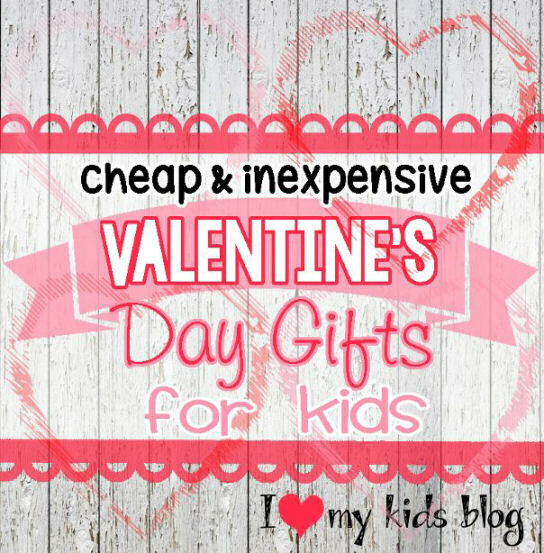 If you are looking for some fun and inexpensive Valentine’s Day gifts for kids, take a peek below at some helpful ideas to get you started. You will find these ideas fun, festive, and perfect for little ones. Take a peek! Children love manipulating and building with colorful play dough. You can grab containers of play dough for as little as $1 each at your local dollar store along with some assorted cookie cutters. Play dough is an excellent alternative to giving candy and a lot more fun! Find a colorful jump rope at your local dollar store and gift it to your little valentine. You can even include a memo that reads, “I am jumping for you, Valentine.” This is a gift that is not only frugal, but will really get kids active. Children love playing card games and learning card tricks. Grab an inexpensive pack of cards and give them to your little valentine. A fun memo to go with this gift could be, “You are the queen/king of my heart, Valentine!” They will love this fun, hands on treat. Find a pair of character socks at your local dollar store for your valentine. Not only will their toes stay warm and cozy but you can include a memo such as “I am head over heels for your, Valentine.” They are sure to love the play on words! You can find inexpensive tub toys at your local dollar store, perfect for gifting on Valentine’s Day! These will offer hours of fun and be a toy that children can use all year long. Look for rubber ducks, fish, and frogs. You can even throw in a bottle of bubble bath. One of my readers Amanda suggested: We make a fun day of love basket! Include small new toys (yo yo, slinky etc and we make sure at least one of the toys has a valentine theme)… “entertaining candy” (the candy type games at local stores) a new kids movie, new card game (kids skip bo). And of course add in anything else you can think of! We TRY to buy some sort of bath toy/paint after Christmas on clearance and add that into the basket too for bathtime fun! We like doing this because the basket is for everyone to enjoy and then we don’t have to buy for each kiddo individually (our kids are 3.5 yrs apart in age) ages 3 and 6 The thought also behind it is to spend time with the ones you love, freinds and family. Hope you find something for your kiddos! As you can see, there are plenty of fun and frugal Valentine’s Day gift ideas for children. Give some of these ideas a try and see how easy and fun it can be! I would love to hear your ideas. Please feel free to add to the list. Happy Valentines Day!